This is the seventh post in a series on The Life-Giving I AMs of Jesus. 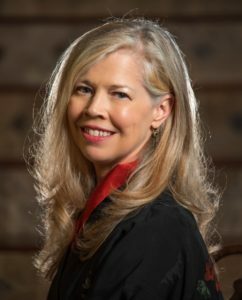 I’d like to reintroduce teacher extraordinaire, author and speaker Lauren Crews, a regular guest here at Five Stones and a Sling. I’m so blessed to have her perspective this week! Frankly, I approached this post with some trepidation. “The resurrection and the life” is, after all, the very core of the Christian message, praise God! And while we spend our lives soaking in its truth, what are we going to say here that hasn’t been said a zillion times by much smarter people? What could we possibly point out that you don’t already know? Well, Lauren to the rescue! As always, she suggested some refreshing new perspectives on this life-giving truth. But before we jump in, I’ll just note very quickly that this is a series on the seven I AMs of Yeshua given in John’s gospel–except that there are actually eight, with the eighth being the “Great I AM,” as in, “Before Abraham was, I AM” (John 8:58). In the Bible, the number seven always represents wholeness and completion, while eight represents resurrection and renewal. And what incredible renewal there is in recognizing Yeshua for who He is! 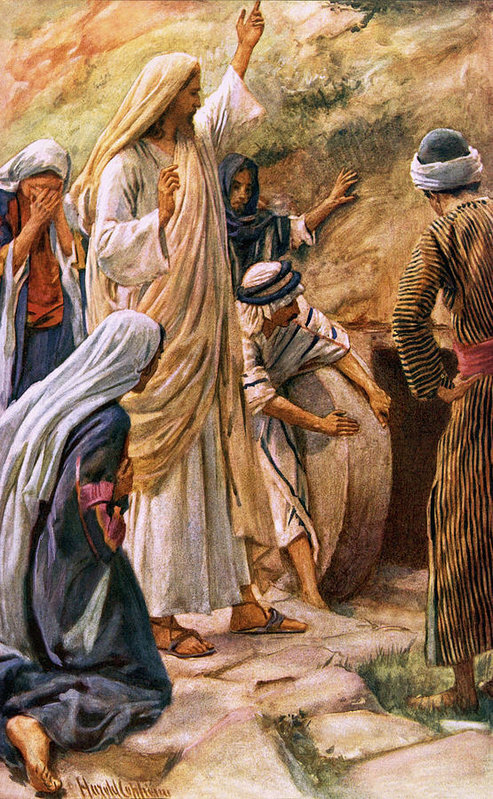 We’re talking, of course, about Yeshua raising his beloved friend Lazarus from the dead. And as is the case with many of the events in John, we know approximately what time of year this happened. It occurred after Hanukkah, which Yeshua observed at the end of Chapter 10 (John 10:22), and before Passover (“the Passover of the Jews was near” John 11:55). So these events took place at about the time of year we’re in now, with Passover looming, during the last weeks before Yeshua’s final, triumphal entry into Jerusalem (John 12:12). Martha’s statement reflects what many Jews believed, and what Orthodox Judaism still teaches today. 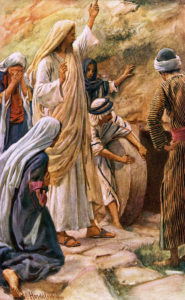 Many Jews understand the scriptures to teach that the resurrection of the dead will be fulfilled at the coming of the Messiah (Daniel 12:2, Isaiah 26:19). So for Yeshua to make a direct reference to the resurrection, claiming He IS the resurrection, directly links Him to these Messianic prophecies. Understanding the context around this I AM statement requires us to know sign language. By that, I mean Western thinkers seek wisdom. Black and white ideas shade our understanding of scripture. Here’s my confession. I find that, in practicality, my conservative religious training overshadows my experiential worship of Christ. Although I believe in the workings of the Holy Spirit and God’s signs and wonders, they tend to reside on the back burner of my faith. I tend to lean toward logical reasoning to support my interpretive views, but I also believe there are no coincidences when it comes to the record of God’s word or the setting in which it lives. But the Jews of the Bible believed in the power of the Holy Spirit, in prophecy and miracles. This is why they desperately sought signs and confirmation (John 7:31). 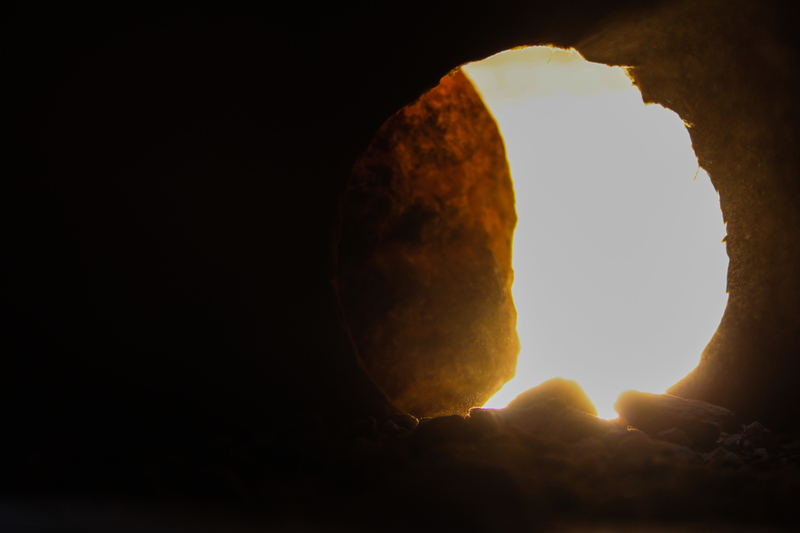 Yeshua, again, does not disappoint when in John 11:25-26 He states, “I am the resurrection and the life…” For the Jewish hearer seeking Messiah, this announcement was pregnant with symbolism. For a resurrection to occur, death is required. Only the pain of death can usher us into the joy of a resurrection. Naturally, Yeshua’s statement foreshadowed what He would soon endure to fulfill the Feast of Passover. Just as His “Light of the World” statement foreshadowed–and made Him the center of–the Feast of Hanukkah. Yes. 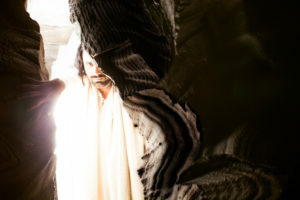 And when Yeshua heard of Lazarus’s death, his first response was, “This sickness will not end in death, but for the glory of God, that the Son of God may be glorified” (John 11:4). Martha and Mary lost their brother, and the disciples would lose their Master. And yet Yeshua told His disciples, “I am glad for your sakes that I was not there, so that you may believe” (John 11:15). Yeshua is setting the stage for His death and resurrection. His words and actions would flood their memories later when they saw His resurrected body. Death would not have the final word. As I read these words with fresh insight, the Holy Spirit convicted me. When I sense my faith dying due to the struggles and questions I face, I so often pray for relief from the pain. This is a typical, practical response. No one seeks to endure pain. But what if the pain is part of our lesson? We are asking God to remove our mode of learning. The disciples endured, so they would believe. Christ endured, so I could be saved. How much more would my faith grow if I endured? Perhaps I should seek God instead, and ask what in my life must die so I can experience the resurrection of abundant life? Just a thought, as I meditate on this truth. That is the question, isn’t it, Lauren? What in my life must die so I can experience resurrection power in my marriage? In my ministry? In my workplace? Your question haunted me this week. Shifting gears a little, isn’t it also true that the Hebrew mindset sees rich meaning in numbers? Yes, and this episode in John 11 is thick with symbolic references to three. The number three represents divine fullness. The Altar of Incense… which we’ll touch on next! Honestly, this is stunning to me. Just last week, I was thinking about these three items in the Holy Place. I had blogged about how two of them pointed to Christ, and I knew there had to be a message behind the Altar of Incense as well, but I didn’t know what it was. And we move on to this week, and Lauren has the answer! Once again, I didn’t preordain that we would hit these three topics in a row, but I believe God led! There are no accidents with Him. Oh, how He wants us to know Him, and to live this abundant life with Him through Yeshua! Model of the Holy Place containing the Menorah, Table of Showbread, and Altar of Incense. 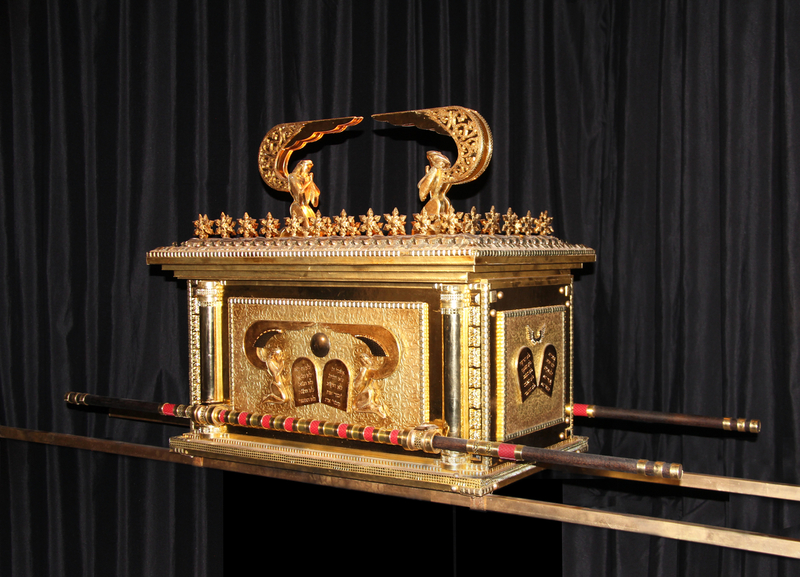 The Ark of the Covenant lies behind the veil. Right! So let me expand on the Altar of Incense, and how it, too, points to Christ. During Yeshua’s Good Shepherd discourse–which occurred only a few months earlier, the last time He visited Jerusalem at the Feast of Tabernacles–He established Himself as the sacrificial lamb. For this reason, the Father loves Me, because I lay down My life and I may take it again. No one has taken it away from Me, but I lay it down on My own initiative…. This command I receive from My Father. (John 10:17-18). Yeshua’s words give us a subtle reference to the Torah’s third book, Leviticus. 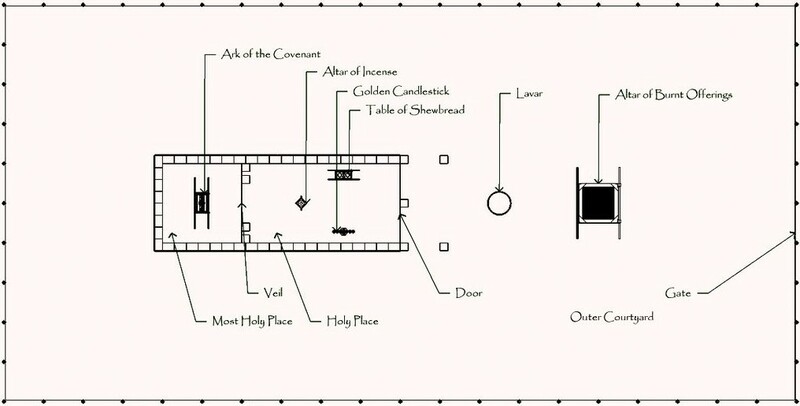 In the Levitical pattern, the Tabernacle had two altars. Lambs were offered daily, one in the morning and one at twilight, on the brazen Altar of Burnt Offerings which stood in the Outer Court. The Altar of Incense stood within the Holy Place, on a direct line behind the Altar of Burnt Offerings. They were replicas of each other, square in shape with horns on each corner. The Altar of Burnt Offerings was covered in bronze which signifies judgment, while the Altar of Incense was covered in gold, which signifies its divine nature. The Altar of Incense was not used for sacrifice. Incense was offered on it daily, at morning and at twilight, but the fire had to be carried from the Altar of Burnt Offerings outside. Once a year, on the Day of Atonement, blood taken from the Altar of Sacrifice was sprinkled on the Altar of Incense to sanctify it. What was burned on each altar was a pleasing aroma before God (Ex 29:41, 30:7). One cannot take place without the other. The incense offering took place after the sacrifice because communion with God can only take place after atonement. For God’s grace to be fully complete, both crucifixion and resurrection had to take place. Ephesians 5:2 references this. The Altar of Burnt Offerings begins the journey of grace. The Altar of Incense completes it. Lauren, you mentioned the direct line that could be drawn between the brazen Altar of Burnt Offerings in the Outer Court and the golden Altar of Incense within the Holy Place. But in my view, it doesn’t stop there. 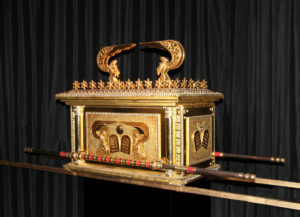 If you extend the line, it would reach into the Holy of Holies, to the Ark of the Covenant and its cover, the Mercy Seat. God said the Mercy Seat was where He would meet with His people (Ex 25:22). But note that Yom Kippur is the only time during the year any person would see the mercy seat. The High Priest could approach it on that one day, but only when it was veiled with an incense cloud and sprinkled with sacrificial blood. So here is your picture again. Only with blood from the Altar of Sacrifice and smoke from the Altar of Incense—depicting Yeshua’s death and resurrection—could the High Priest venture into the Holy of Holies. This carries forward a theme from last week. The priests of Israel got such limited access to the mercy seat—only the High Priest, only once per year (Lev 16:2). But we have a “better covenant… established on better promises” (Heb 8:6). We have a sweeter deal! The “throne of grace” here is the heavenly version of the mercy seat! Yeshua, at His death, tore the veil which separates us from the Holy of Holies from top to bottom (Matt 27:51). Since that time, we have access to the real, heavenly version that no earthly priest of the Mosaic Law ever enjoyed. Brothers and sisters, what an awesome privilege is that? Gosh, we should use that!! The “copy” in the temple got a sprinkling of blood once a year. The real deal in Heaven will let us get face to face with the Lamb Who Was Slain (Rev 5:6) on a continual basis. Christ takes the place of the Menorah in the heavenly Holy Place, but the incense is still there (Rev 5:8, 8:4). So, the Lamb of God had to be slain, depicted by the Altar of Burnt Offerings. Then resurrected, depicted by the Altar of Incense. Then “pass through the heavens,” depicted by incense smoke rising. Then He tore the veil “from top to bottom” (Matt 27:51), inviting us to join Him in His place of eternal fellowship with the Father—the Throne of Grace depicted by the Ark with its Mercy Seat. What an amazing picture the Tabernacle gives us of Yeshua’s atoning ministry! I could go on about the sign of three, and the symbolism of the Mosaic sacrificial system (yes, there’s much more!) but I feel I might be straying a bit from the principle message of this post. 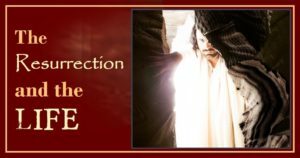 Yeshua’s perfect and pleasing sacrifice, Yeshua as “the Lamb of God,” Yeshua as “the resurrection and the life.” This is the central fact of the Bible, from Genesis through Revelation. Onward, then, to the crucified life! What in me needs to die? If you’ve never opened God’s free gift of salvation through Jesus (Rom 3:23, 6:23), if you’ve never invited Him to become your shepherd, please please please be persuaded to do it now! It’s simple. Just tell God from your heart that you admit you’re a sinner that needs a Savior (“For all have sinned and fall short of the glory of God.” Rom 3:23) that you’re done running your own life, and that you’re ready to make Jesus Lord of your life. The decision that saves you is that simple! Simple… But no one said living it out will be easy. Especially now. As a Bible teacher and speaker, Lauren Crews is excited to encourage Christians to explore and understand the Jewish roots of their faith. She lives in northeast Florida with her husband and two chocolate labs. She is mom of three fantastic young adults and recently welcomed a daughter-in-love to the Crews crew. 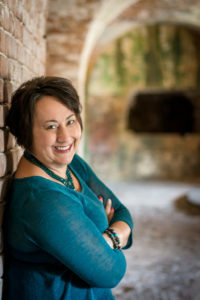 She is represented by Credo Communications and working toward the publication of her books The Strength of a Woman and Jesus: The Alef and the Tav. You can connect with Lauren on the web at www.laurencrews.com. Oh, Linda and Lauren, you have filled my heart with wonder at how this all comes together. I need to read this over and over so it will sink in! I’m so thrilled to hear that, Rose! I felt the same way, but I wasn’t sure whether we managed to communicate it. 🙂 Thank you for your encouraging comment! A stunningly beautiful and inspiring post! Thank you! The “Rule of Three” is seen throughout creation and in every discipline: Chemistry (Solids, Liquids, and Gases); Geometry (Length, Width, and Height); Art (The Three Primary Colors-Red, Yellow, Blue); Music (Melody, Harmony, and Rhythm); History (Past, Present, and Future): Story (Beginning, Middle, and Ending): and God’s ultimate creation-Man (Spirit, Soul, and Body). The Triune Godhead is reflected everywhere! Praise His Most Holy Name! Yes we are all so blessed that God has brought us together in these last times to share with each other and others! I loved your post too MaryAnn Diorio! Linda Thompson is the author of The Plum Blooms in Winter, a novel inspired by a gripping true story from WWII's daring Doolittle Raid. "Colorfully evokes the Pacific theater of WWII. Start this one forewarned: it's a stay-up-all-night read." - Jerry B. Jenkins, 21-time NY Times bestseller. Sign up for Linda’s FREE monthly giveaway and quarterly newsletter. Gain access to exclusive content, updates and prizes.